St. John's Baptist Church will be conducting a Tenebrae Service in its main sanctuary this week. On Friday evening, April 19, at 8 p.m., St. John’s Baptist Church will be conducting a Tenebrae Service in its main sanctuary. 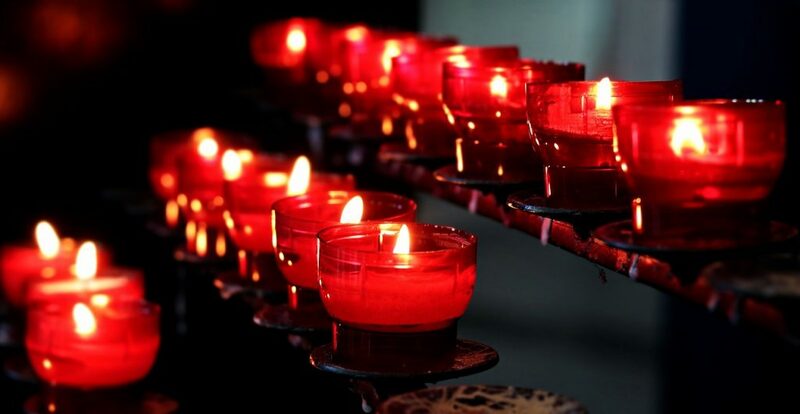 The word “tenebrae” comes from a Latin word meaning “darkness,” and this service constitutes an ancient Christian Good Friday liturgy that makes use of gradually diminishing light by way of the extinguishing of candles, symbolizing the events from triumphant Palm Sunday entry to Jesus’s burial on Good Friday. The increasing darkness in the service symbolizes the approaching darkness of Jesus’ death and the sense of hopelessness in the gospel story before Easter. The service – which will also include a silent communion service – will conclude in darkness, with participants leaving in silence to ponder the impact of Christ’s death and to await the coming Resurrection two days later on Easter Sunday. This Tenebrae service at St. John’s should be especially moving since it will take place in three separate languages, including Spanish, Indonesian and English. All are welcome.